I wanted to use recycled paper, and the paper I used comes from the Exotic Paper Company. I chose to buy recycled banana paper, but you can also buy paper made from elephant poo. How cool is that! 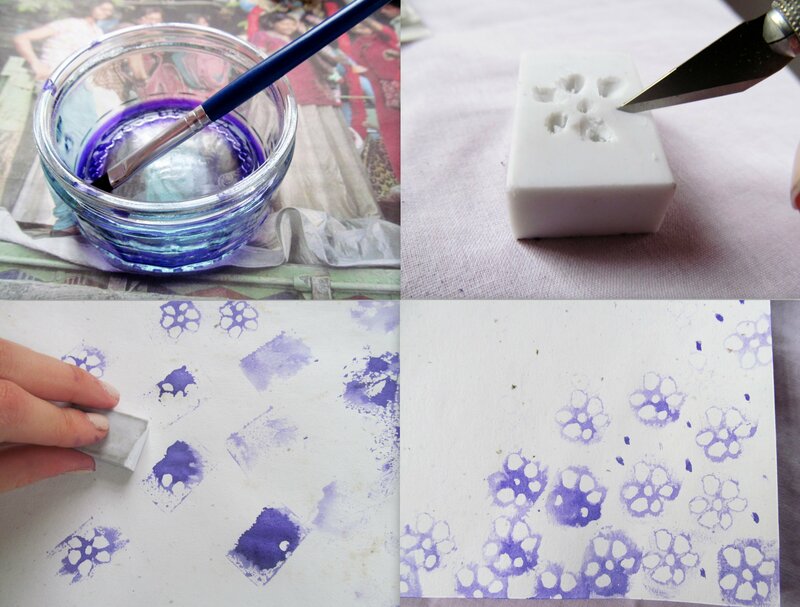 To make this rubber stamped paper, first put a little ink in a jar and add the same amount of water • Use your craft knife to carefully cut a shape out of the rubber. The simpler your shape, the better! 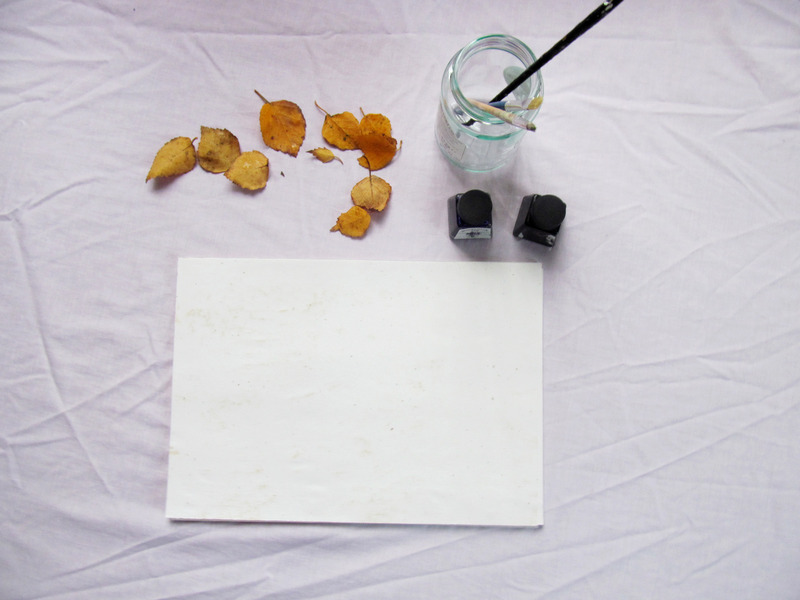 • Paint the rubber with your water/ink mixture and use a spare piece of paper to dab off the excess • Use your rubber to print onto the paper. Don’t worry if it’s uneven, it adds to the charm! 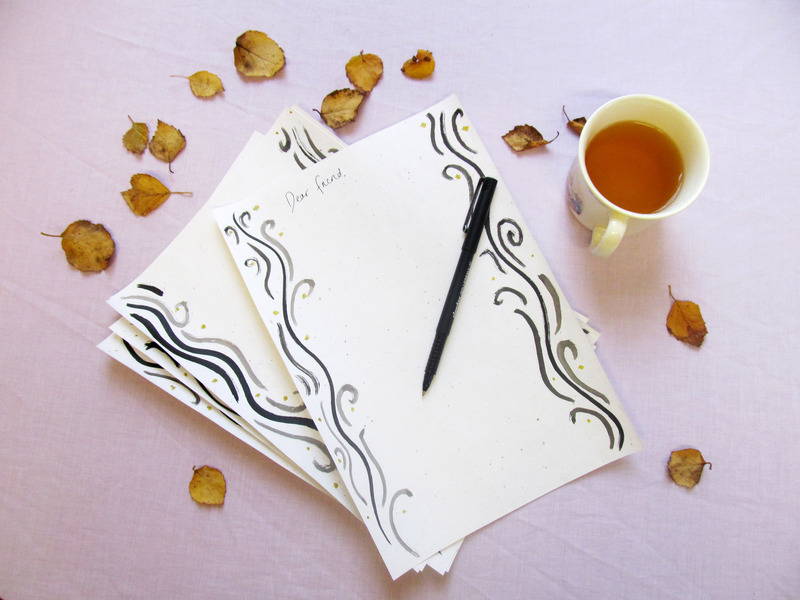 If you want to border your paper, you can use any illustration you like, but the most effective designs are simple and abstract. 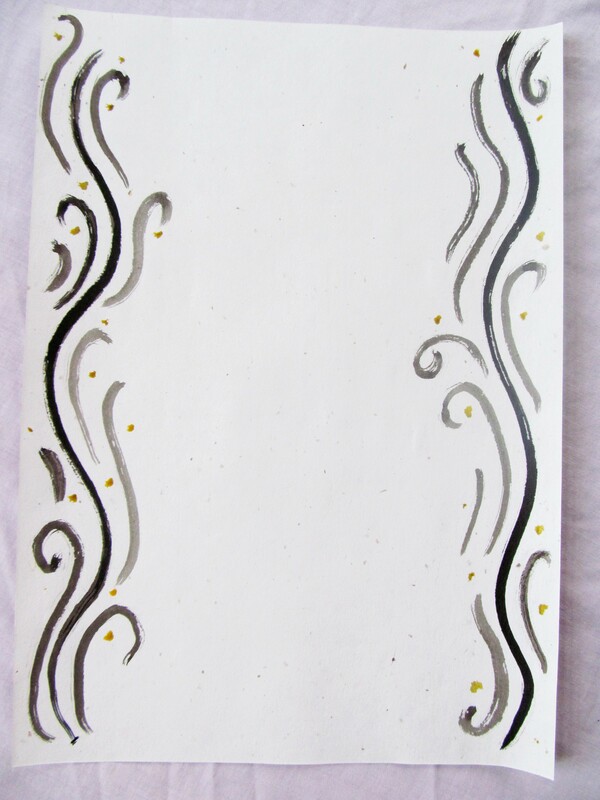 I just used a combination of curly lines, swirls and yellow dots! 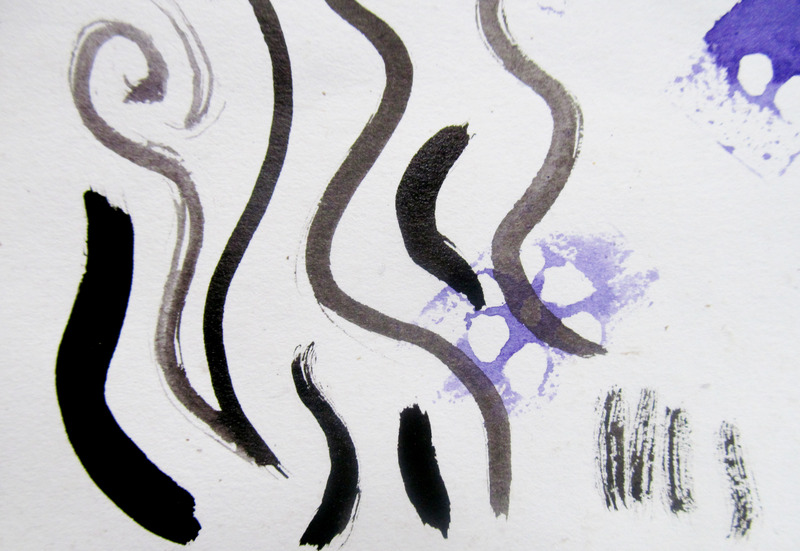 Before you paint onto your paper, experiment with different amounts of ink and water on your brush, different sized brushes and a variety of pressures to decide which marks you like the most! 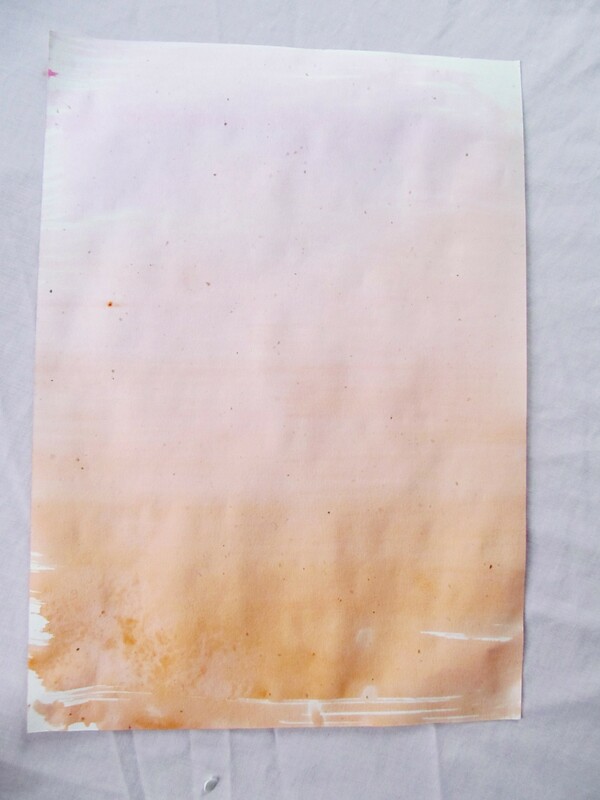 First paint a background onto your paper by dabbing a watered down ink onto your paper with a large brush • Use a small brush, and black ink straight from the bottle to paint a simple design in the corner. 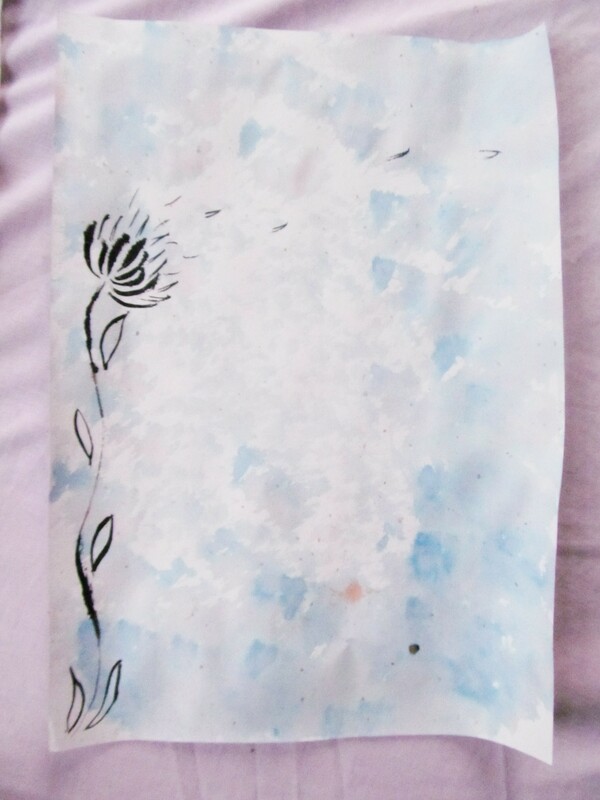 If you paint your design whilst the paper is wet, the ink will bleed a little, which I think looks cool. If you want a crisper line, wait until the paper is dry. 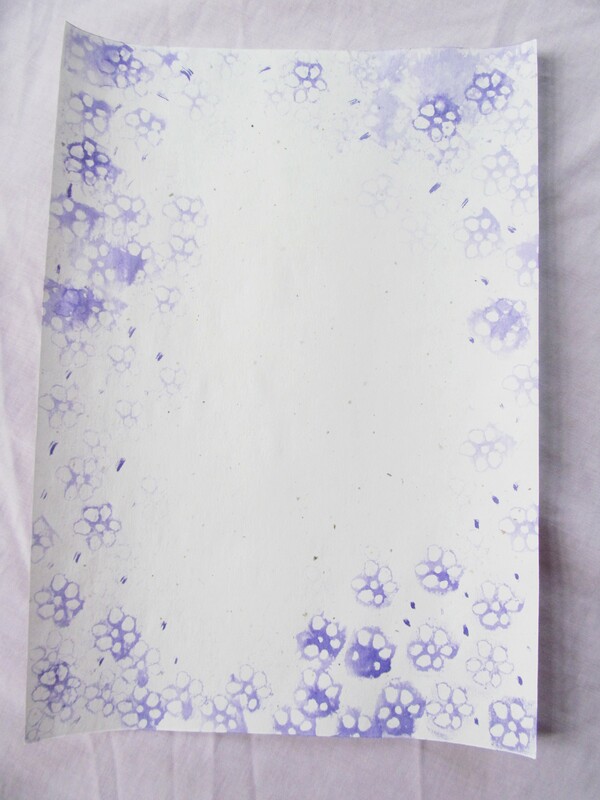 So there are some ideas for decorating paper! Which is your favourite? 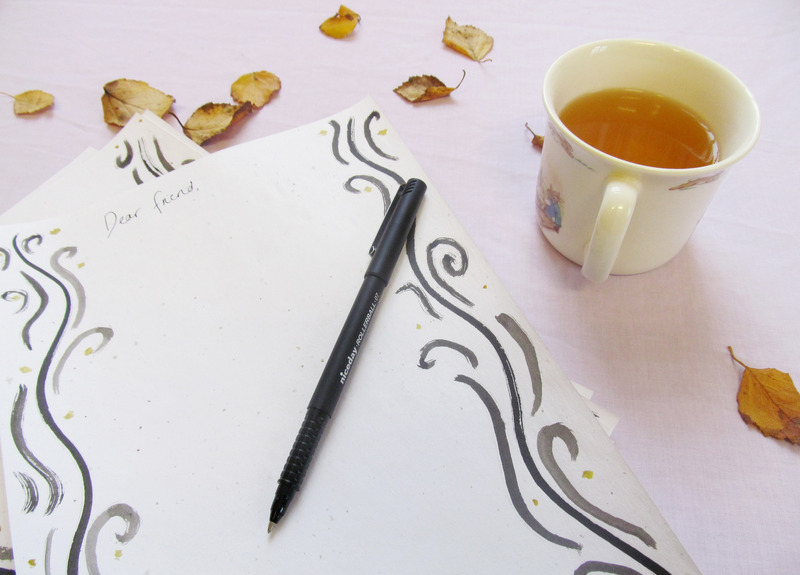 Do you write letters to your friends, or do you have a penpal? I’d love to hear how you decorate your letters! I love handwritten mail, especially when it’s on pretty paper! Beautiful, but that last one I like most. I LOVE THIS!! And, funny thing, it just so happens I’ll be writing a lot of letters to a pen pal… By the way, I’m guessing the one I crafted for you got a little squished because I hand made it and I didn’t have a correctly sized envelope, which I realized only AFTER I made it gigantic. I’ll get better with time, hopefully!! These are so pretty! I need to write more letters! These are so pretty, such a lovely idea.